Ulverstone is a town on the northern coast of Tasmania, Australia on the mouth of the Leven River, on Bass Strait. On the 23rd (Tue), explore the fascinating underground world of Gunns Plains Caves, look for all kinds of wild species at Wings Wildlife Park, and then look for all kinds of wild species at Lillico Beach Conservation Area. On the 24th (Wed), you'll have a packed day of sightseeing: take in breathtaking views at Leven Canyon, identify plant and animal life at Penguin Observation Centre, and then identify plant and animal life at Fern Glade Reserve. To see other places to visit, where to stay, maps, and other tourist information, read Ulverstone route planner. Frankfurt, Germany to Ulverstone is an approximately 28-hour flight. The time zone difference moving from Central European Time (CET) to Australian Eastern Standard Time (Tasmania) (AEST) is 9 hours. April in Ulverstone sees daily highs of 20°C and lows of 7°C at night. Finish up your sightseeing early on the 24th (Wed) so you can go by car to Mole Creek. Mole Creek is a town in the upper Mersey Valley, in the central north of Tasmania, Australia. Start off your visit on the 25th (Thu): explore the fascinating underground world of Marakoopa Cave, then explore the fascinating underground world of Mole Creek Caves, then identify plant and animal life at Trowunna Wildlife Sanctuary, and finally admire all the interesting features of Alum Cliffs. To find traveler tips, reviews, other places to visit, and other tourist information, read our Mole Creek attractions website . Drive from Ulverstone to Mole Creek in 1.5 hours. In April, daily temperatures in Mole Creek can reach 20°C, while at night they dip to 7°C. Wrap up your sightseeing on the 25th (Thu) to allow time to travel to Coles Bay. 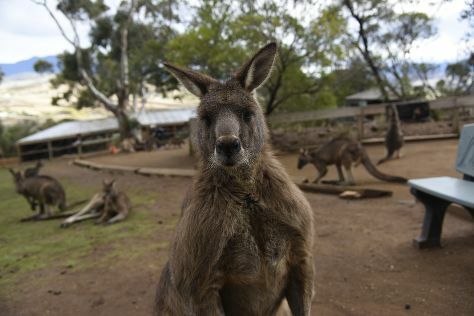 On the 26th (Fri), look for all kinds of wild species at Freycinet National Park. 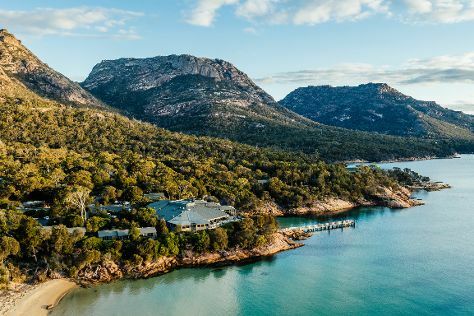 Here are some ideas for day two: tour the pleasant surroundings at Friendly Beaches, then trek along Wineglass Bay Lookout, and then take a leisurely stroll along Coles Bay Jetty. To see reviews, other places to visit, traveler tips, and tourist information, you can read our Coles Bay travel site . You can drive from Mole Creek to Coles Bay in 3 hours. Cap off your sightseeing on the 27th (Sat) early enough to go by car to Hobart. Kick off your visit on the 28th (Sun): look for all kinds of wild species at Bonorong Wildlife Sanctuary, kick back and relax at Seven Mile Beach, then take in the spiritual surroundings of St. David's Cathedral, and finally take in the awesome beauty at Mount Wellington. On the next day, surround yourself with nature on a nature and wildlife tour. To see where to stay, photos, maps, and tourist information, use the Hobart road trip planning site . Drive from Coles Bay to Hobart in 2.5 hours. Alternatively, you can do a combination of taxi and bus. In April in Hobart, expect temperatures between 21°C during the day and 9°C at night. Finish your sightseeing early on the 29th (Mon) so you can travel back home.